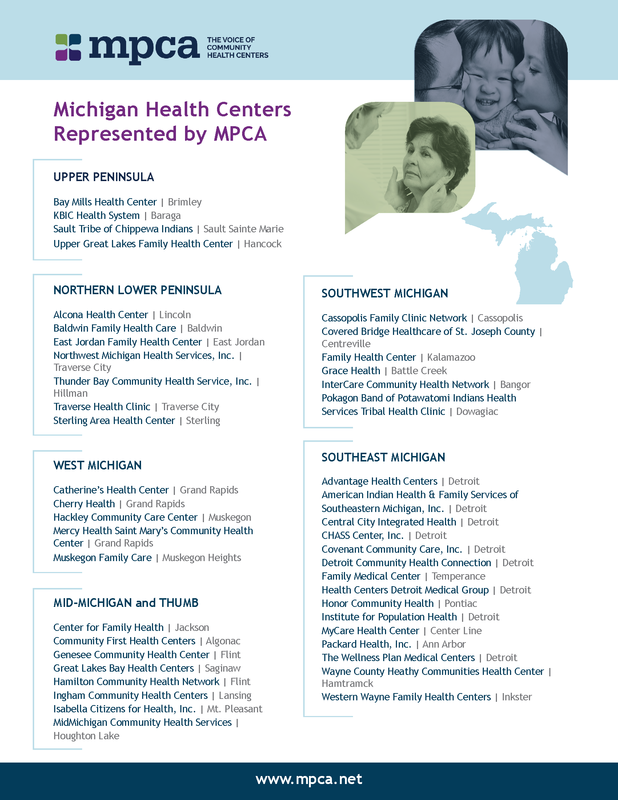 MPCA is the voice of 45 community health centers that provide primary and preventive health care to more than 700,000 patients in rural and urban communities across Michigan. 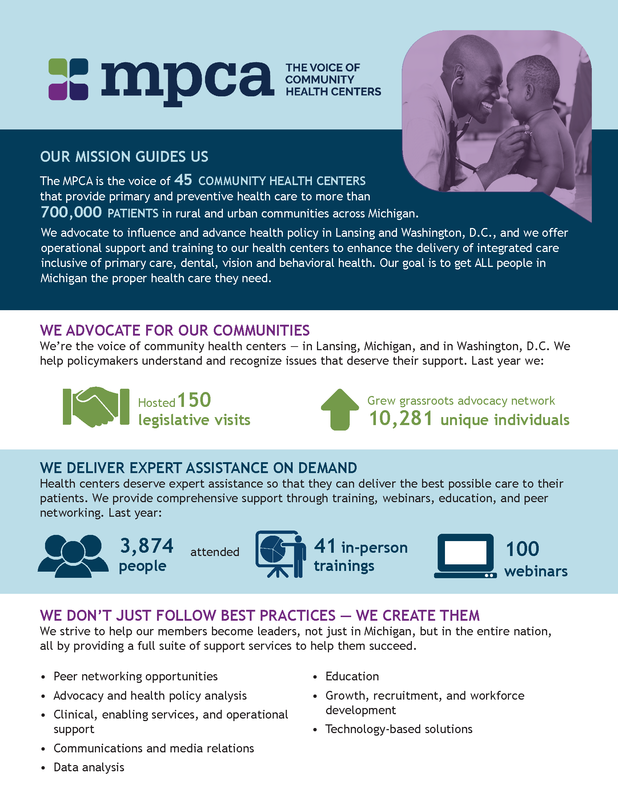 We advocate to influence and advance health policy in Lansing and Washington, D.C., and we offer operational support and training to our health centers to enhance the delivery of integrated care inclusive of primary care, dental, vision and behavioral health. Learn more by downloading our MPCA fact sheet! To enhance integrated care through community health centers while influencing policy at the state and national level. Innovation and continuous improvements in the workplace are crucial to maintaining responsiveness and utility to clients. You can learn more by viewing our full plan here.